*** The following refers to our English Studies Programme; because of this, we have chosen to retain the British spelling. English Studies Director, Dr. Penelope Christensen, has announced her retirement from The National Institute for Genealogical Studies. Dr. Christensen has been the Director of the English Certificate Programme ever since she founded it in 2000. She is the author of 25 courses, including several Methodology courses, as well as all English Record courses and beginner level courses for three other countries. For nearly two decades, Dr. Penelope Christensen has been writing genealogy instructional materials, including how-to books published by Heritage Productions. She is starting her well-deserved retirement to concentrate on completing her family genealogy books, doing some traveling, and tending to her beautiful garden. “We will always be extremely thankful to Dr. Penelope Christensen for her dedication in educating our students in genealogical research. The materials she has developed over the last twenty years have been expertly written to share her acquired knowledge in an easy-to-learn manner”, says Louise St. Denis, Managing Director of the National Institute. Louise adds, “Dr. Penny, as she is affectionately known to her students, is leaving big shoes to fill. She is our most popular instructor!”. The National Institute for Genealogical Studies offers nine Certificate Programmes, including the English Studies Programme. This one, covering research in England, offers 13 core courses on English research and record types. Courses include Census Records, Civil Registration, Probate, Parish Registers, Poor Law and Parish Chest Records, Occupations, and more. Certificates can be earned by students who, in addition to the 13 record courses, also complete 14 methodology-type courses and an additional 13 elective courses. 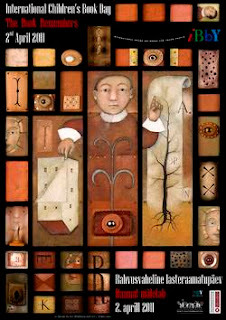 To learn more about the National Institute’s Certificate Programmes, visit their website at www.genealogicalstudies.com. Kirsty Gray, residing about 40 miles (64 km) outside London, England, has been appointed the new Director of English Studies at the National Institute. In her new position, Kirsty will be reviewing and updating the record courses from Census and Civil Registration to the much more advanced records such as Land, Property, Education, and Court Records. Kirsty grew up in Dorset and studied at the University of Reading (England) and Ottawa University (Canada), and was awarded a Master's degree in Chemistry in June 2000. Kirsty has taught Science and Mathematics at the secondary school level, and has also held management responsibilities such as Head of Sixth Form Studies and Head of Learning though she now ‘just teaches’ in an independent school in Oxfordshire so that she can focus more on genealogy. Kirsty became interested in family history at the tender age of seven years with her maternal grandfather’s tree in hand. She became obsessed with her great-grandmother’s maiden name of SILLIFANT and began a one-name study on the name in 1999, publishing tri-annual journals on the surname for the last six years. Kirsty took up genealogy professionally while training to be a teacher in 2002. She now runs Family Business, conducting research for private individuals, academics, and companies worldwide. Kirsty is an author, having written for the magazine Practical Family History and currently writing for Family Tree Magazine and Your Family Tree on various topics for beginners to more advanced levels. A sought-after lecturer, her knowledge, and her energetic and infectious personality wows audiences across the UK. Everyone at the National Institute welcomes Kirsty to her new position, and looks forward to the growth of the English Studies Programme. The National Institute, leaders in online genealogy education, have been offering genealogy and history courses for over 11 years. They now offer over 200 courses in genealogical studies to help enhance the researcher’s skills. For those looking to acquire more formal educational training, The National Institute offers—in affiliation with the Continuing Education Unit of the University of St. Michael's College at the University of Toronto—Certificate Programmes in the records of Australia, Canada, England, Germany, Ireland, Scotland and the United States, as well as a General Methodology and Librarianship Certificate. For more information, please visit our site at www.genealogicalstudies.com or call us toll-free in North America at 1-800-580-0165 or email us at admin@genealogicalstudies.com. More than 110 people have already read my ANZAC Day post on John Bertram Chatfield. Among them was a second Cousin, Deb, who emailed me a photo of Bert or Jack as he was known in Australia. I can understand how my grandmother fell for this handsome soldier. Thanks, Deb, for sharing this photo. When 25 year old miner, John Bertram (Bert) Chatfield, set off to war he left behind his pregnant 17 year old wife and young son, Billy. I cannot imagine how bewildered my grandmother, young Ethel, must have felt when she received news that her huband was Missing in Action and subsequently listed as Killed in the Field. However, if one searches Australian Military Records one will find no evidence of John Chatfield's existence; he had enlisted under an alias, John Williams. Bert Chatfield was one of five sons of William Henry Chatfield and Sarah Jane Busby of Northamptonshire in England. Presumably Bert travelled to Australia sometime before 1914 when he married my grandmother in Cobar, NSW. According to his attestation papers Bert, who was a miner in Cobar, had previously been a member of the militia in his home county of Northampton. I have no details of that service but my aunt (his daughter-in-law) says that he was a deserter from the military. I had written this much of my post by Friday 22 April when I decided that I should try once again to find more info on Bert. I logged onto Ancestry and did a few searches. A search for one of Bert's brothers, George Thurman Chatfield led me to an Ancestry family tree that included Bert. I quickly sent off a message to the tree owner. Yesterday I heard from the gentleman who owns that tree. This is part of what he said "Thankyou so much for your email,it actually gave me goose bumps as Bert has always been one of the family's mysteries! In relation to me he is my Grandmothers uncle, so in turn my Great Great Uncle. 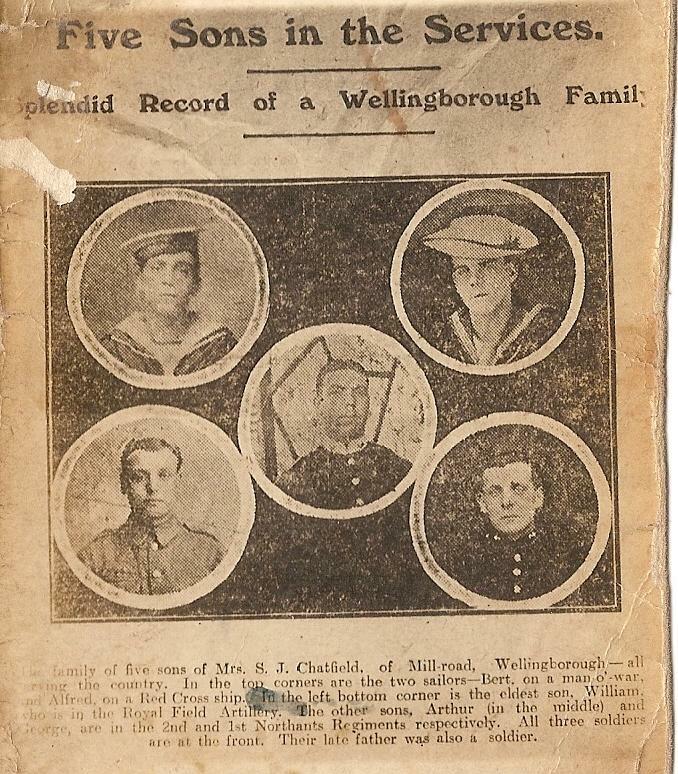 The family tale I was told was that during the First World War he joined the Royal Navy sailing on a Man o War ship, Sailed to Australia, Fell in Love with an Ausralian Girl, deserted the navy and changed his name to marry her,Then Joined the Australian army and was killed at Gallipoli." I, too, got goosebumps when I read his message. I wonder what my aunt and cousins will say when I tell them that I have located some of their Chatfield family in England. I am still overwhelmed by this find just in time for the Challenge. I replied to that gentleman with a few details and will follow up with more after the Easter break. This man kindly sent a copy of a newspaper clipping from the Wellingborough newspaper showing photo of Bert and his four brothers who were in the service. I now know that Bert had been in the navy and may have jumped ship in Australia. As Cobar is several hundered miles from the coast I doubt that he fell in love with my grandmother in Cobar before he deserted. On my next trip to the UK following up Bert's naval service record and a dated copy of this clipping will be a research priority. But back to Bert's story. A digital copy of his service record can be found on The National Archives of Australia website and a summary of his service here. He enlisted as John Williams in The Australian Army at Dubbo on 20 May, 1916 naming Jane Williams c/o Mrs Pusell as his next of kin. Jane was actually Ethel Jane Chatfield (neePusell), my grandmother. After undertaking some training in Australia Bert's Unit embarked from Australia on board HMAT Ceramic on 7 October 1916. On 4 February 1917 Bert left from Folkestone, England for France. He was reported as missing in action three months later on 3 May 1917. A Court of Enquiry held in the field on 4 December 1917 found that he had been "Killed in the Field". Bert probably did not know that he had become a father of a daughter, Nellie, who was born on 4 April, 1917 and lived for just two weeks. I wonder if Nellie's birth was premature or if she died of some other cause. Ethel had always told me that she had lost twin girls; although there is no official record of two births I have a copy of a family letter that confirms this. 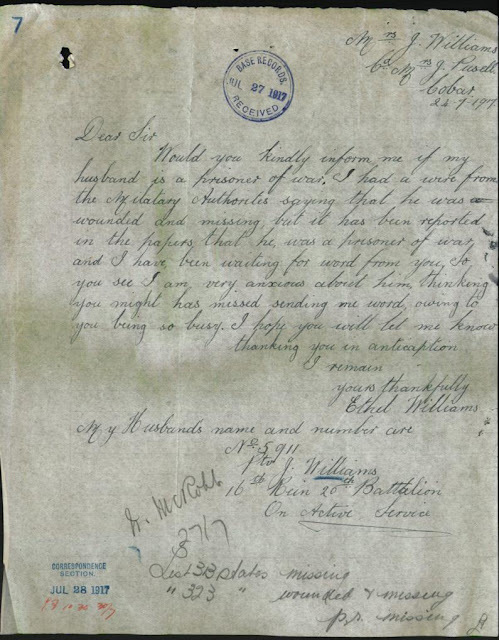 She had received the devastating news by 19 February, 1918 when she wrote to the Army to see if any personal effects belonging to Bert had been found. Another woman who was concerned about Bert's fate was his mother who enlisted the help of The Red Cross to find details of Bert's death. The Australian War Memorial has an index to the First World War Wounded and Missing file . Bert's file contains a number of statements from soldiers who were at the front with him. It appears that Bert or Jack as he was known to fellow soldiers sustained a severe injury to his legs and was left in a shell hole by his mates, they retreated and when they returned he was nowhere to be seen. I have travelled to France to visit the Australian Military Cemetery at Villers-Bretonneux to see the panel on which John Williams name is inscribed. Standing there on a winter's day when the biting wind was howling across the plains I shed a tear for Bert and Ethel and the thousands of other young men who made the ultimate sacrifice for their countries. Ethel was married at 15 and had lost two children and a husband by the time she was 18. The effect of these events on her must have been enormous. After the war The Chatfields asked Ethel and Billy to come and live with them in England but she declined. She was blessed to have supportive parents and a strong family network to help her through these tough times and my Nana was resilient. When young Bill was seven Ethel married Frank Duncan and went on to produce five daughters, one of whom is my mother. Billy was a loved older brother of his five young sisters. Ethel had a tough but happy life raising Bill and the Duncan girls. Had Bert not met his fate on the Battlefield at Bullecourt Ethel's life would have been different. My Mother and I would not have been born and I would not be writing Bert's story today. Since writing this post I have visited The National Archives at Kew and have procured a copy of John Bertram "Bert" Chatfield's Naval Record. John Bertram "Bert" Chatfield joined the Royal Navy on 14 May 1907 and signed up for twelve years. During his time in the navy he worked as a stoker on nine vessels and his conduct was described as Very Good to Fair. Bert's record confirms that he deserted twice in Australia. On the first occasion in 1910 he was on the loose for six months. He was more successful when he ran in Sydney on 11 September 2012. His service record gives a clue as to why he chose Cobar. Prior to enlistment Bert had worked as a banksman in a colliery; as Cobar was a mining town he would have been able to find work there. Having now read about Bullecourt in Les Carlyon's The Great War I have an understanding of the events at Bullecourt on May 3rd and realise why Bert's remains have not been found. It is frustrating to find that some of the links in my original post are now dead. I have amended these and they are live at this date. I have been in the market for a Tablet since I tested out the iPad in Los Angeles on its launch last year. For a number of reaasons I decided that the iPad wasn't for me. When the Samsung Galaxy Tab came on the market in Australia I was quite taken by it. Reviews were mostly positive, I liked its compact size (but much bigger than the phone I use for browsing etc. ), that it had two cameras, could be used for Skyping,that it could be used as a mobile phone and with an optional stylus. In Australia the Samsung Galaxy Tab was priced at around $AU900; I didn't want to spend this much money on a gadget that may or may not suit my needs. Before setting off for Rootstech I found that I could buy an unlocked Galaxy Tab from T-Mobile for $US499, this was a more palatable proposition. I visited two T-Mobile stores in Salt Lake city but wasn't able to buy one. While at Rootstech I saw the new Dell tablet and thought that I would buy one of these instead. The Dell representative at the conference was spectacularly unhelpful. A call to Dell to try and buy one of these online didn't bear fruit but at least their phone rep was pleasnat and tried to assist. I returned to Australia minus a tablet and decided that I would bide my time until a new batch was launched with the Honeycomb operating system. However, it is a woman's prerogerative it to change her mind! While reading my RSS feeds last weekend I saw this post on The Galaxy Tab Blog. I guess this sale price from Teltra indicates that they will soon launch a new tablet. My dilemma was should I wait and probably spend $800 or $900 on a nwere model or buy a soon to be outdated model for $AU299. At that price I wouldn't be too disappointed if the Tab didn't live up to expectations. I had previously checked with the man from Telstra about the suitability of my SIM card for the Tab and found that it could be used. Luckily Mother's Day and our wedding anniversary are looming and my husband hasn't any gift ideas. I helped him out by suggesting he buy me The Galaxy. My sparkling white new toy was delivered yesterday and I am now investigating how to use it for everyday activities and genealogy. The Hills Shire Library Service has posted a message on twitter alerting us to a free event planned at the Castle Hill Library. If you have some friends who would like to make a start in family history please share these details from the Library's Facebook page. Designed for beginners, join Ian Beckett as he discusses ways for beginners to trace your family tree. Although I am not an absolute beginner I am going along to hear what Ian has to say. I'll be blogging about it after the event. A great GeniMate from Rootstech, Joan Miller, wrote a thoughtful piece in her Luxegen blog today "Genea-Bodies: The New Somebodies". She says "We Genea-Bodies have a voice. A collective voice. A passionate voice. And we talk about our passion." I encourage you to read Joan's post and the comments that follow. "For this opinionated little Granny from downunder to have a voice is an honour and a responsibility. Social networking tools have made this possible. I took my role as an official Rootstech blogger and tweeter very seriously and hopefully my contributions assisted in getting the news out about this fantastic event. My blog statistics were certainly up during February. Evaluation is an important part of any process; social networking tools facilitate evaluation that could not previously occur. The ability of Genea-Bodies to contribute to conversation on all facets of genealogy is empowering. I can voice my opinion, be noticed and take part in discourse with others….and some people listen and take notice of little me! Ten years ago we had virtually no influence. If we bought a shonky product we just whinged to the provider, if advertisers made unrealistic claims we could not easily point out their errors or if we had a great idea we could write an article that might not be published. Now we can keep people on their toes. Genea-Bodies contributions about and evaluations of issues, services, products and resources via blogs, Twitter etc will lead to improvement in products and new knowledge in our field. “You’re nobody until somebody loves you” – social media provides the love to turn us all into "somebodies." The plain appearance of this site, Gates - McEvoy - Maloney Family Tree, does not give an indication of the information on the site and the ease with which one can access that information. I came across the site when I was doing a Google search for the McEvoy descendants of my convict ancestor, Elizabeth Phipps. The site is published using Darrin Lythgoe's program TNG (The Next Generation of Genealogy Sitebuilding.) TNG's advanced search capabilities give lots of options to access the information in the database. Although this site does not use a lot of the features of TNG it demonstrated that the program can be used at a basic level and, when one becomes more adventurous, it provides scope for lots of embellishments. .....said my husband when I asked him again this morning if he would take a DNA test. He had, up until now, been quite hesitant about DNA testing but he loves a bargain. Sitting in bed this morning I was reading Facebook news and saw Carole Riley's post that said that Family Tree DNA was having a special for DNA Day. After attending a talk by Kerry Farmer on DNA last year I had decdided that I would use Family Tree DNA for my testing and have been waiting for a special offer (seems I misses a recent 40% off one). I have since heard Steve Morse talk on DNA at Rootstech and have attended a Webinar on the subject. Being scientifically illiterate I still only have a basic understanding of DNA but I hope to rectify that situation. I have ordered for myself Family Finder + mtDNA tests. Hopefully this will match me up with some cousins and confirm if I have aboriginal ancestry in my maternal line. For my husband I have ordered a Family Finder test and a YDNA-37 test. Once we have the results of my husbands YDNA test I will join him up the DNA project for his surname. It will be interesting to see if there are any matches from the 160 members of that group. I have followed with interest the stories of my GeniMates who have undertaken testing and look forward to being able to have some further discourse with them. Tonight's was the best of the family history talks I have attended at Hornsby Library..
On phoning up to book a place this morning I was told that I was taking the last of the 60 places available. Arriving early I nabbed a front row seat and was soon joined by a lady who had sat near me at a previous session. There is a large group of regulars who attend the family history sessions organised by Neil Chippendale, the Local Studies Coordinator at Hornsby Library. At $5 including a cuppa or cordial and bikkies these represent excellent value. I wish Hornsby Library would host more of these events. Although I had met Allan Murrin at Rootstech I had not heard him give a presentation. Allan was a relaxed, competent and down-to-earth speaker who engaged his audience with a natural warmth and touches of humour. His deep knowledge of his topic Familysearch was evident. Allan's use of Powerpoint was very good and his slides were attractive and easy to read. Allan encouraged the audience to "Move Forward" in their genealogy and specifically to embrace the new Familysearch. He recognised that change can be difficult but that by using resoources such as Familysearch we can find information quickly and have more time to analyse what we find. Allan demonstrated with a couple of examples how to use both the ordinary and advanced search modes on Familysearch. He also pointed out that there is a huge number of resources available through the FamilySearch Library Catalog that are not yet indexed on Familysearch and that genealogists should look there for resources. He showed that there is a good number of Australian resources available in the catalog. He also reminded us of the collection of Learning Resources available from the site. This includes a wiki, online courses and a getting started guide. I only learnt a couple of new things but enjoyed the talk immensely as it helped me consolidate my knowledge and forced me reflect on Familysearch and the wealth of resources they make available. I take my hat off to Allan who demonstrated his "green" and "21st century genealogy" commitment by not handing out presentation notes but for giving the audience a URL from which they can download notes to their computer. Congratulations to Allan and Neil for staging this event. A new tab Learning Log has appeared on this blog today. I wanted a spot where I could keep a record of my learning and my blog was an obvious choice. As an educator I had a commitment to Lifelong Learning, I attended numerous professional development activities to aquire new knowlege, keep abreast of the latest research and learn new skills. Now that I have retired from that field and have embraced genealogy and family history with a passion I am making a concerted effort to learn as much as I can about that subject. I will continue to be a Lifelong Learner as long as the old brain holds up. On the Learning Log page of this blog I will be posting a list of the learning activities in which I participate. If I have blogged about the activity then I will add a link to the appropriate post. I wonder what other genealogists use as a Learning Log to record their educational progress. As well as being an organisational tool for me I hope that the page will act as a resource for others who are wondering what opportunities are available for Australian genealogists to expand their knowledge. On the last evening of the recent Rootstech Conference I found and met the other Australian who was in attendance. I was pleased to catch up and chat with Allan Murrin from the Botany Bay Family History Society. I just received a newlstter from my local library indicating that Allan will be travelling north to Hornsby to present a talk tomorrow evening. I hope to be able to attend and hear what he has to say. If you have only used the IGI in FamilySearch you have missed the many resources that are available. With a recent makeover of this free website there is much more to explore. By attending this session it is anticipated that you will have a better understanding of the growing collection of historical records along with the library catalogue. Allan Murrin will be explaining how the new website will aid the beginner and experienced family historian. Bookings are essential. To make a booking please phone 9847 6614. For further information please phone Hornsby Local Studies on 9847 6807. I don't know of any other Australians who have a Flip-Pal mobile scanner. Some of my Australian GeniMates are envious of my little toy in its emerald green case that I purchased at the recent Rootstech Conference in Salt Lake City. My Flip-Pal sits beside my computer ready for action. If a document up to about A4 size comes my way I immediately scan it with the Flip-Pal. The procedure for scanning small documents is easier and more time effective than scanning with my larger scanner. My light little Pal goes with me in my laptop bag when I visit libraries, archives and elderly aunts. If you don't know about this marvellous item take a look at this video in which Dear Myrtle demonstrates a Flip-Pal. My mother-in-law, Daphne Gillespie, used to tell the story of how her name was changed at baptism frrom Freda to Daphne; a notation on her birth certificate bears this out. Whilst browsing through a notebook belonging to her mother, Eliza Ann Gowans, that I have as the family bowerbird I came across a newspaper clipping about this event pasted neatly on a page. As the other items in this book are from 1930 and 1931 I surmise it was from that time. Unfortunately I cannot identify the newspaper. It is one of a number of clippings of pars that Eliza under her nom-de-plume, Elms, had pasted in the notebook. Eliza earned three shillings and sixpence for sharing the story of baby Freda's name change. 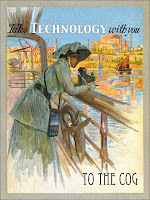 James Tanner of Genealogy's Star posed this question in his blog post today: Who reads all these genealogy blogs anyway? James, I read genealogy blogs; lots of them. James' question made me think of the (costly to produce and distribute) journal that I received this week from a genealogy society. It contained a few feature articles, some resource reviews, a list of recent library acquisitions, 29 pages devoted to annual president's and financial reports etc. I should imagine that the production of this journal on its shiny paper chews up a major portion of the Society's income. At the recent Rootstech Conference there was a lot of discussion about falling membership in societies, rising membership fees and giving value for money. I wonder if production of a fat shiny journal a few times a year represents a wise allocation of funds in the 21st century. Blogs give me access each to day to many more articles on genealogy than I get in one edition of the journal that I just skim. Via my RSS feed I, not a journal editor, can scan a huge number of articles and select those that I want to read and digest. So I read genealogy blogs to get access to a wide range of pertinent articles written by many people internationally, to hear of events, keep up to date with the latest resources and to communicate and collaborate with like-minded people. I'd love it if more readers embraced the collaborative nature of blogging and engaged in a conversation via the comments section in the blogs they read. I will not be issuing a challenge to other genealogy bloggers to write about some books from their childhood on International Children's Book Day as my last challenge on World Poetry Day was a dismal failure. Since 1967, on or around Hans Christian Andersen's birthday, 2 April, International Children's Book Day (ICBD) has been celebrated to inspire a love of reading and to call attention to children's books. In a blog post last year I wrote "The books one reads gives others a picture of one's interests and adds a bit more flavour to dry genealogical facts. If you are a reader and family historian have you recorded your reading for your descendants?" In that post I outlined the method I use to keep track of the books I have read." I will mark ICBD by listing ten of the children's books that I have particularly enjoyed not just from my childhood but from my days as a Children's Librarian, parent and Teacher Librarian. These are not my top ten books but just ten that spring to mind this morning. On another day this list would be different but it represents a few of the many children's boks that have made an impression on me. For my Follow Friday post this week I am highlighting a radio show that assists in breaking down the Tyranny of distance for Australian genealogists. One of the disadvenatges of living in God's own country is that we are far away from a large number of genealogists who share our interest and perhaps even our ancestors. Geneabloggers Blogtalk Radio gives Australians an opportunity, at a reasonable time on a Saturday afternoon, to connect with genealogists from other nations. Vibrant personality, Thomas MacEntee, is the host of this two-hour program that understandably has a North American bias. In spite of this there is a lot of discussion that has relevance to genealogists worldwide. Last week I think I was the only Australian tuned in but I had company from the southern hemisphere in a genealogist from New Zealand. One can simply tune in and listen to the program online or onc can sign up for a free Blogtalk radio account that allows you to jparticipate in the online chat that runs concurrently with the show. There is no special software or equipment needed to listen to the show. Past programs are archived and available on the program's webpage. The theme for this weeks show is "Jewish Genealogy – How To Get Started Searching Your Roots". AlthoughI have no Jewish Ancestry I will be joining in to hear about resources and events, to learn from the expert guests, to be entertained by Thomas and to enjoy the camaderie of my genealogy mates. Thomas and his friends would be thrilled to have you join them on Geneabloggers Blogtalk Radio on Saturday in Sydney or on Friday 10pm EDT, 9pm CDT, 8pm MDT, and 7pm PDT in the United States.